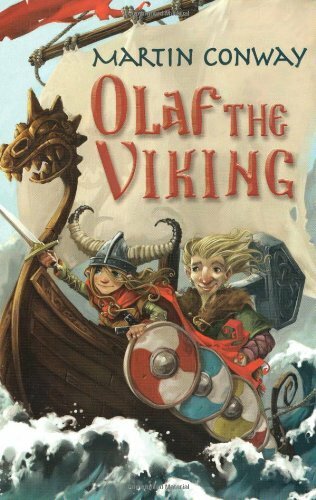 The story of Thor’s hammer is given a new slant in this slapstick romp of a story. Young Viking Olaf throws in his lot with a strange, highly intelligent and articulate slave. After many an antic, the slave reveals himself as Loki, trickster and least trustworthy of the Norse gods, who is intent on retrieving the hammer that he stole from Thor. Reluctantly Olaf accompanies him in his endeavour. Through the course of the story we meet the goddess Freja, Thor, god of thunder, the giant Thrym and Odin’s ravens, Hugin and Munin, and travel to Asgard and across the Rainbow Bridge. Light-hearted and cheery, and brimming with farcical situations, the adventure is also at times quite dense – and readers would do well to familiarize themselves with the original story before reading this version.